(AP) MEXICO CITY - The tortured body of a Mexican police reporter was found on the side of a road in the northern state of Sonora on Friday, a day after he was kidnapped by gunmen while waiting at a car wash, authorities said. 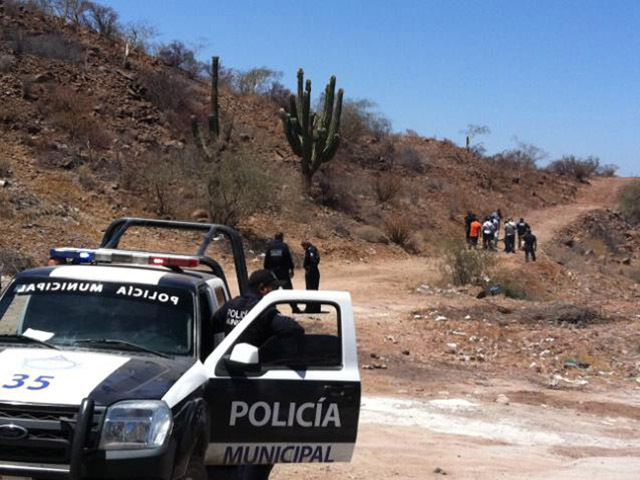 Marco Antonio Avila Garcia's body was found inside a black plastic bag near the city of Empalme, about 68 miles (110 kilometers) south of Ciudad Obregon, where he was abducted, said Sonora state prosecutors' spokesman Jose Larrinaga. Larrianga said police also found a message signed by a cartel, but he wouldn't reveal the message's content. The 39-year-old reporter often wrote about organized crime for the sister newspapers Diario Sonora de la Tarde and El Regional of Ciudad Obregon, said Larrinaga. Avila was snatched and forced into a pickup truck Thursday by three masked gunmen as he waited for a company car to be washed in Ciudad Obregon. Eduardo Flores, director of the newspapers, told The Associated Press that Avila wrote about drug trafficking but never mentioned cartels by name nor did investigative pieces. "He wrote about drug trafficking, but nothing involved" about it, Flores said. "He wasn't allowed to cover anything that would be considered aggressive by criminal groups." Flores said Avila was among the most experienced police reporters on his staff. The journalist never mentioned receiving threats or being afraid of covering the police beat. No threats had been received by the newspapers, he added. The reporter was married and had three small children. He worked at night and during the day was going to university. He recently graduated with a degree in chemistry, Flores said. Mexico has become one of the world's most dangerous countries for journalists in recent years, with media workers disproportionately targeted as a government offensive against drug cartels and rivalry among crime gangs have resulted in tens of thousands of killings, kidnappings and extortion cases. Last week, gunmen opened fire on the offices of the El Manana newspaper in the border city of Nuevo Laredo. The week before, police found the mutilated bodies of three photojournalists inside plastic bags dumped in a canal in the Gulf coast state of Veracruz. Prosecutions in journalist killings are rarely carried out, which is generally the case with most homicides and other serious crimes in Mexico. Mexico's National Commission on Human Rights says 79 journalists were killed between 2000 and 2011. In addition, it said 14 of them have disappeared. Other press freedom groups differ with that number. The commission said Friday it has opened an investigation into the death of Rene Orta Salgado, a journalist who had quit working for El Sol de Cuernavaca newspaper in the resort city of Cuernavaca in January. Police found Orta's body inside his car's trunk. A cause of death has not been made public.